This cute blouse is sure to add a pop of colour to your look. 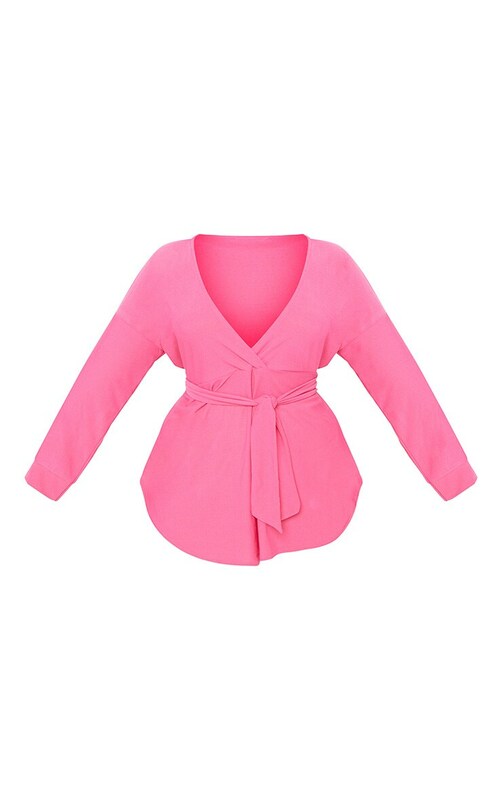 Featuring a fuchsia material with a wrap design neckline, a tie waist and long sleeves. Style this blouse with wide-leg trousers and strappy heels for an occasion worthy look.